The entire nation is drenched in the festive and colourful spirit of Diwali - the festival of lights. It is wonderful to see how over hundreds of years, this festival has taken on contemporary hues while retaining its ancient structure, alive with legends still relevant. 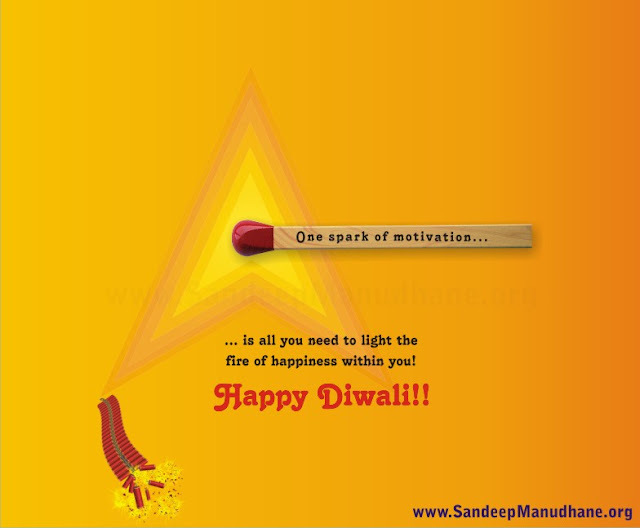 So before moving ahead - here's wishing all my readers a wonderful Diwali! The key message from Diwali is - arrival of Good, destruction of Bad, cleaning of the clutter and mess, & a renewed vigour for prosperity! In fact, there's this amazing article on Diwali you must read! Let me apply Diwali's lessons in a national context. As we near the end of 2016, it is a good time to see the direction our national priorities are taking, and how far we still have to go to ensure a decent quality of life to all Indians. From the experiences gained in 25 years as an education entrepreneur working at the grassroot levels, I feel that an India aspiring for superpower status needs to urgently work on the seven priorities listed below, and Diwali is the best time to list these! Rapid economic growth - India needs tonnes of investment, both internal and external, to speed up the industrial sector and overall economy and absorb the huge pool of emerging youth. Many initiatives are being pushed by the Government, with Make-in-India leading the march. Unfortunately, the speed still needs much acceleration. This single priority, if successfully achieved, can put renewed vigour in India's rejuvenation. We have a long way to go. Strategic security - Sadly, the evolving strategic situation in south Asia is not to India's comfort. A lot of national bandwidth is getting consumed into a focus on border security and tackling infiltration across borders, than on constructive nation-building. India has to not only destroy her enemies' nefarious designs, but also resolve longstanding issues yet unresolved. I wrote on the multiple dimensions of it here, here and here. My Hindi article on it can be read here. Ease of doing business versus Corruption & Complexity - Entrepreneurs create genuine wealth through innovative solutions for pressing problems. It is the society's and government's prime role to create a smooth highway for the engine of entrepreneurship. It is sad to see that the potholes on this highway are not reducing, but growing. The corruption and resistance endemic to nearly all government departments' approach acts as a great demotivator for new blood taking up this career option. We are destroying our own chances. The latest Ease of Doing Business ranking amply highlights this fact. The situation on the ground is pretty scary! A society yet to evolve - It is sad to see that the topomost political executive - the Prime Minister himself - had to take up the issue of cleanliness as a national agenda (the Swachh Bharat Abhiyaan). Why can we citizens not realise that it is our responsibility to keep our nation clean and hence largely disease-free? Why do we not own up such basic responsibilities needed for a healthy civic sense? And this is just one of the many lacunae we experience each day - traffic sense, sympathy for fellow-citizens, compassion for the needy, discipline in daily life, etc. all need an overhaul! Digital sovereignty - Any sensible Indian using the internet and technology regularly is often saddened, and sometimes frightened, to see how deeply we are getting enslaved to brands and companies not Indian in origin or flavour. Practically all major services are American. Obviously they are doing a wonderful job, but what about India's future? As more and more Indians adopt the internet, are we okay with the prospect of a future where our huge digital markets are milked by foreign brands only? Even the high-speed free wifi at many Indian Railway stations is courtesy Google! We are handing over our future to others on a platter. Here is an insightful article on this issue, for the inquisitive readers. Complete redesign of our education system - Our present mainstream education is largely suited to the requirements of a linear, smokestack economy that's fundamentally changing its design and flavour. We are preparing our youth for jobs that no longer exist, using skills that are no longer relevant and with a mindset that creates entitlements and not responsibilities. Of what use is such a system? India needs to reassess its priorities in this, quickly. Read this to know more. Women as an equal partner in national progress - Various indicators show we are not moving ahead as fast as we should. Our womenfolk are not equal participants in nation building at all. This problem cannot be solved by legislation and government alone, but by a combination of assertive women demanding their rights and liberal men respecting this fundamental right. An imbalanced society can neither be truly prosperous nor independent. India's true Diwali will be when we rise and shine true to our potential. Let us commit ourselves to bursting the firecrackers made up of ignorance and apathy, lighting the lamps of knowledge and compassion and distributing the sweets of hard labour done with nationalistic pride. Sir ..wishing you and our pt education a very happy diwali..Thanks for brainstorming write up.